A classic and favorite anytime meal. This simple sauteed scallops recipe is so simple and fast., It makes a terrific weeknight or great special occasion dinner. Melt butter in skillet. You will need enough butter to cover about 1\3 of the scallop. Add garlic and old bay to butter. Enough old bay to coat the top of butter. Heat on a medium flame for about 2 to 3 minutes. Long enough to cook the garlic slightly. 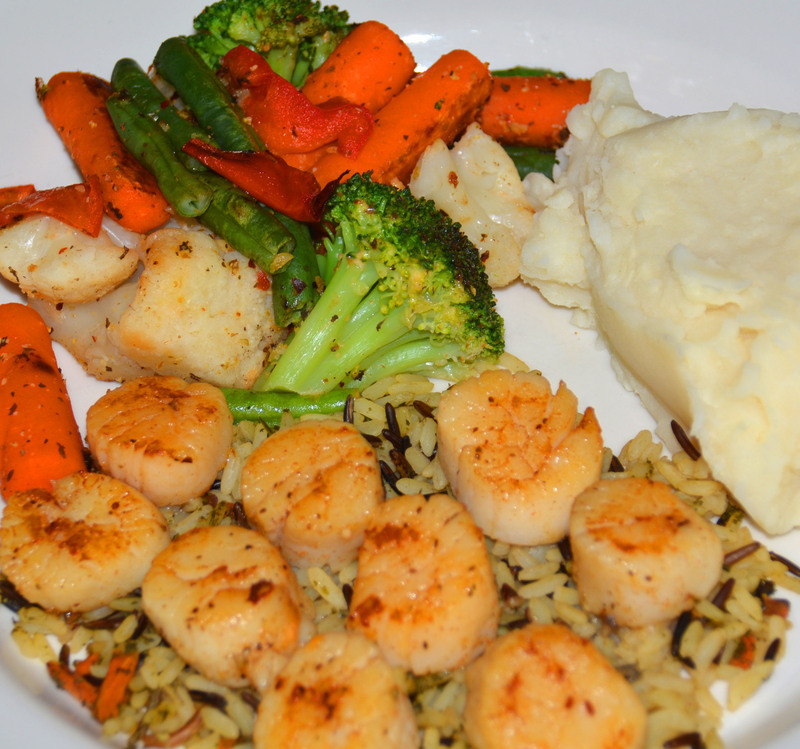 Add scallops to butter and continue to cook till scallop is white – about half way up from the bottom. Flip scallop and repeat on other side. Depending on size of scallop, should take about 3 to 4 minutes per side. Scallop will be white and firm when done. Turn off heat and remove from butter. The scallop will continue to cook if left in butter and turn rubbery if cooked too long. Plate scallops and spoon some of the butter mixture over the top. Serve with glazed carrots and wild rice. ENJOY.